On 10 May, the Advanced Research Center Chemical Building Blocks Consortium (ARC CBBC) celebrated its official start. The research center occupies an excellent position to play a leading role in research towards issues such as the circular economy, sustainable chemical processes and clean energy. The main priorities are the three research lines Energy Carriers, Functional Materials and Coatings. “The world faces some major challenges, and we will need the right combination of scientific insight and innovation in order to find answers to them”, according to Marjan Oudeman, President of the Executive Board of Utrecht University, one of the founding partners. 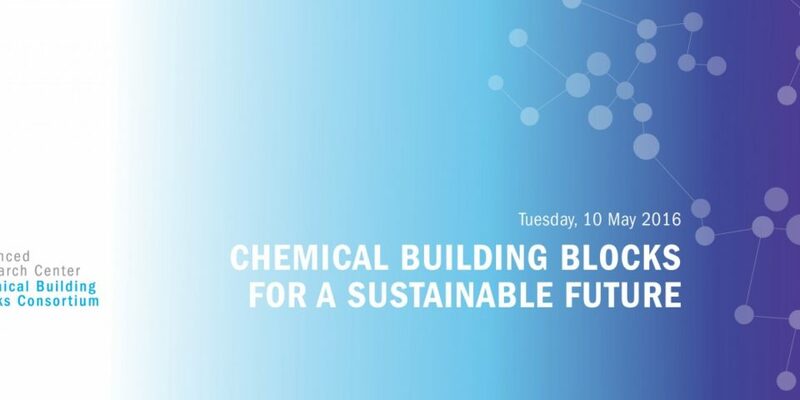 The other founding partners include AkzoNobel, BASF, Shell, NWO, the Ministry of Economic Affairs, the Top Sector Chemistry and the universities of Utrecht, Eindhoven and Groningen. The national research centre will deal with important energy- and chemistry-related issues pertaining to our increasing demand for finite natural resources. “Within this unique partnership, we want join forces to create a ‘new chemistry’”, says Herbert Fisch, Managing Director of BASF Netherlands. ARC CBBC is a research center in which the scientific and business communities will initiate a long-term collaboration. “This partnership is based on excellence and joint research programs, which gives us a strong hand to play in science and innovation in the Netherlands and abroad”, according to Jos Engelen, President of the General Board of NWO, co-founder of ARC CBBC. ARC CBBC will use fundamental research to contribute to the solution of a wide range of social issues formulated by the National Science Agenda, the EU Grand Challenges and the challenges identified by the United Nations. “ARC CBBC will work on the building blocks that have the potential to fundamentally change our chemical industry”, says Prof. Ben Feringa (University of Groningen), President of the Executive Board. ​The ARC CBBC will soon begin accepting open registrations to participate on projects within the research center. The consortium is looking for the absolute top talent within both the scientific and business communities. “ARC CBBC should become the beating heart of chemical research in the future”, according to Scientific Director Prof. Bert Weckhuysen (Utrecht University). Interested researchers and businesses can find more information about how to participate on the ARC CBBC website.